Chiropractic manipulation for the last century has been largely ignored by most others in the health care community until recently. Now, with today’s growing emphasis on treatment and cost effectiveness, manipulation is receiving more widespread attention. Chiropractic spinal manipulation is a safe and effective spine pain treatment. It reduces pain, decreases medication, rapidly advances physical therapy, and requires very few passive forms of treatment, such as bed rest. In fact, after an extensive study of all currently available care for low back problems, the Agency for Health Care Policy and Research—a federal government research organization—recommended that low back pain sufferers choose the most conservative care first. And it recommended spinal manipulation as the only safe and effective, drugless form of initial professional treatment for acute low back problems in adults. 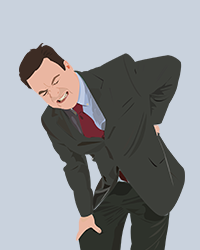 “Back Pain Facts & Statistics.” Acatoday.org. N.p., n.d. Web. At S&A Chiropractic we utilize a comprehensive rehabilitation program specified for each individual’s needs to be established to receive the best results possible.